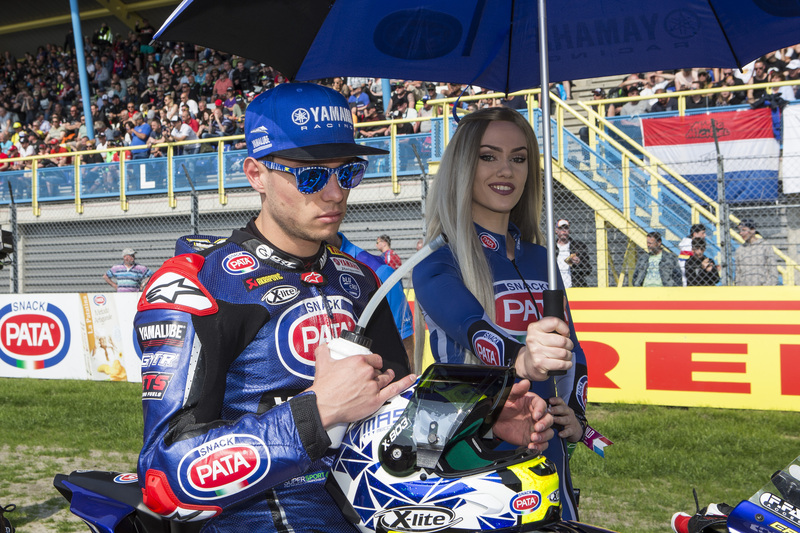 GRT Yamaha Official WorldSSP Team’s Lucas Mahias leaves Round 4 of the 2018 Supersport World Championship at Assen still leading the overall standings after a strong ride to fourth, although he was disappointed not to be able to fight for the race win on Sunday. His teammate Federico Caricasulo was pushing as hard as he could during the race before contact with another rider saw him crash out while battling in the leading group. In the European Supersport Cup, Alfonso Coppola made a strong start but faded towards the end of the race to finish in 20th place. Mahias struggled to find the perfect setup in Aragon and, unfortunately, he suffered from a similar issue throughout the weekend in Assen. Starting from the middle of the front row, the reigning WorldSSP Champion led in the early stages of the race but was riding on the absolute limit for the entire 18 laps. He fought hard in the leading group and battled all the way to the line with some sensational riding. In a dramatic finish, it looked like he might be on the podium but he ended up missing out in the sprint to the line and finished in fourth, just 0.341s behind the winner. Despite being disappointed on missing out on the podium for the second consecutive race, the 29-year-old French rider leaves the TT Circuit Assen still leading the overall championship with 71 points, although his lead has now been reduced to one point heading into Round 5 at Imola. Caricasulo also found it hard to get the perfect setup with his GRT Yamaha R6. Despite this, he fought valiantly all weekend and during the race, he had made his way up to fifth from seventh on the grid and was battling with his teammate in the leading group. That is when disaster struck, as there was contact with another rider on lap 13 at Turn 6 and his race ended prematurely. Luckily, despite it being a very fast crash, he walked away battered and bruised but without any serious injury. After his DNF, the 22-year-old Italian is now fifth in the championship standings with 49 points, trailing his teammate at the top by 21 points but confident he can fight back at Imola. Coppola once again showed great progress throughout the race weekend, as the inaugural Yamaha R3 bLU cRU Challenge winner continues to adjust to the WorldSSP championship. Lining up on the grid in 25th place, he enjoyed a number of good battles with other riders before the extra weight of the R6 and the longer duration of the race started to tell. Battling all the way to the line, he finished in 20th place and is now determined to work hard on his strength and stamina before the next round at Imola. The GRT Yamaha Official WorldSSP Team now head to a private test at Brno later in the week, before it is time to set their sights on Round 4 of the WorldSSP Championship at Imola on the 11th-13th May. Check out the full WorldSSP race results from Assen.